Want to be way ahead in your holiday shopping? We feel you! 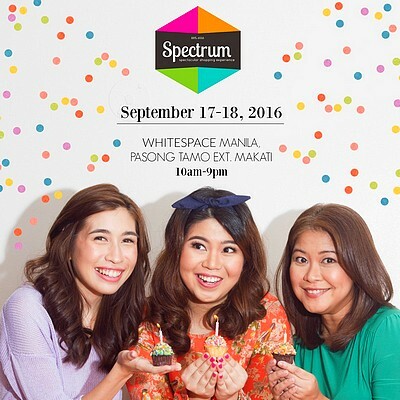 The Spectrum Fair, soon turning one year old, comes to the rescue with a unique offer of the first shop and lounge experience in the country September 17 and 18 at Whitespace Manila. The indoor-outdoor bazaar will feature unique finds from Pottly ‘n Tubby, Happyness Project, The Bald Baker, and more! Join Drew and Iya Arellano, Katarina Rodriguez, Arisse de Santos, Erwan Heusaff, and more as they, too, hunt for their holiday gifts! For more information, visit Spectrum Fair's Instagram page.